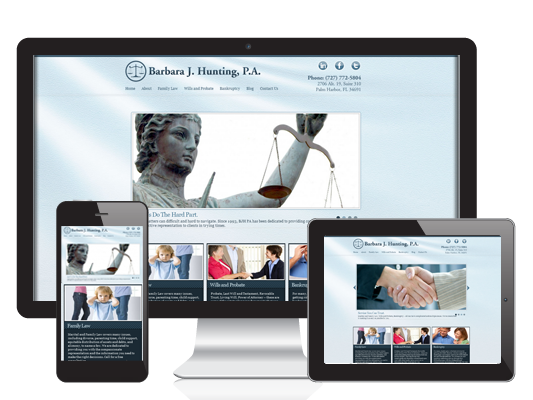 Palm Harbor, Florida attorney Barbara Hunting was paying a web design company $99/month for an outdated website that was not responsive or mobile-friendly, with no blogging capability. Google’s new search algorithms favor businesses that have a mobile-friendly website. So we created a new responsive site for her with Content Management System for easy blogging and updating… and there’s no $99/month fee, so she saves a LOT of money for a site that will be much more effective for her as far as SEO goes!